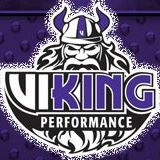 Viking Performance, Inc. specializes in rod end and spherical bearings, high performance shock absorbers, high travel coil springs, and related suspension components. Viking was founded in February, 2011, but its owners are anything but new to the industry. Between them, they have over 50 years of hands-on experience in the racing and performance aftermarket.